An event employee of Nintendo attends the presentation ceremony of its new game console Switch in Tokyo, Japan January 13, 2017. Picture taken January 13, 2017. 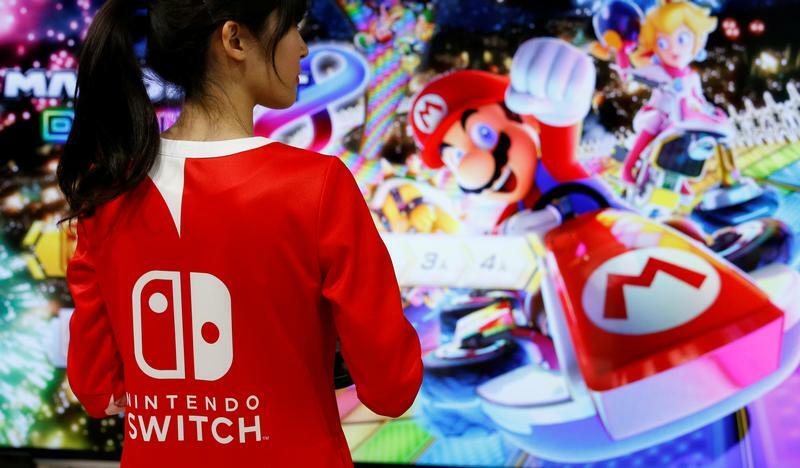 Japan's Nintendo on Jan. 31 reported revenue of 608 billion yen ($5.6 billion) for the three months to December, an increase of 26 percent from the same period last year. Operating profit rose 36 percent to 159 billion yen. That compares to the average analyst forecast of 149 billion yen, according to Refinitiv data. Nintendo said it has sold 14.5 million Switch consoles in the nine months to December and expects to sell 17 million in its fiscal year ending March. That’s down from an earlier target of 20 million units. Shares of the Tokyo-listed Nintendo closed up 2 percent to 33,830 yen on Jan. 31 ahead of its earnings release.